Thanks to the receptionist, and the staff was very friendly. Good breakfast the room was sparkly clean and the bed was comfortable linen smells nice. Trendy decor and good value for money. I met the owner and he was so pleasant and just wonderful to chat with. The beds were SUPER comfortable. The decor was contemporary and nicely done. Housekeeping and the wait staff were great! 1. Value for money. 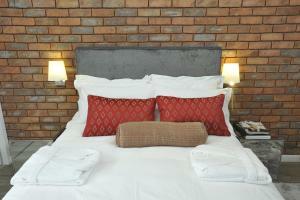 Has a self catering arrangement and perfect for a long stay. 2. Good, infact very good wifi speed. In Namibia this is exceptional. 3. Good toiletries in the bathroom. Very comfortable and clean. great to have wifi and satellite TV and aircon. The staff were friendly and accommodating. Helpful with ad-hoc requests. Will stay here again. The decor was amazing and the room was extra comfortable, I felt like I was in heaven, the host was very resourceful. Big room, working table, lots of power sockets, comfy bed, small kitchen to cook simple meals. There is also a near by supermarket. Lock in a great price for Paragon Crescent Suites – rated 8.3 by recent guests! One of our top picks in Windhoek.Featuring free WiFi and air conditioning, Paragon Crescent Suites is located in Windhoek, 650 feet from Mediclinic Private Hospital Emergency (Windhoek). Free private parking is available on site. The accommodations comes with a flat-screen TV with satellite channels. There is also a kitchen, fitted with an oven. A microwave and toaster are also offered, as well as a kettle. Towels are provided. Mediclinic Private Hospital (Windhoek) is 1,000 feet from Paragon Crescent Suites, while Eros Pre-primary private School is 1,950 feet away. 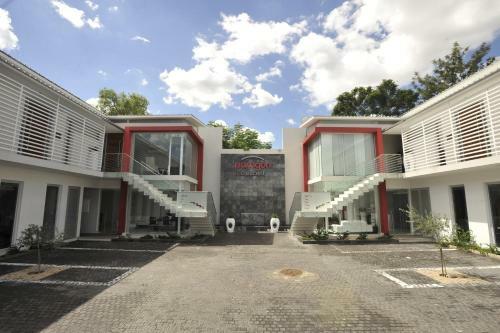 The nearest airport is Eros Airport, 5 mi from Paragon Crescent Suites. When would you like to stay at Paragon Crescent Suites? 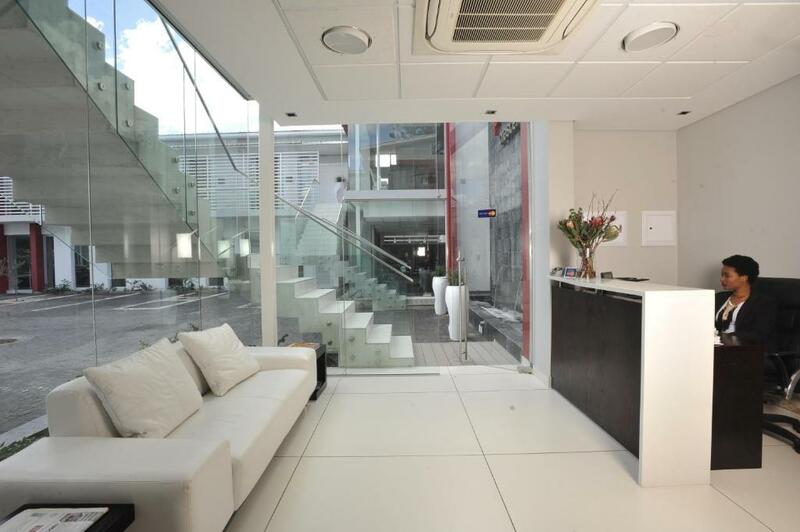 This apartment features a electric kettle, air conditioning and oven. 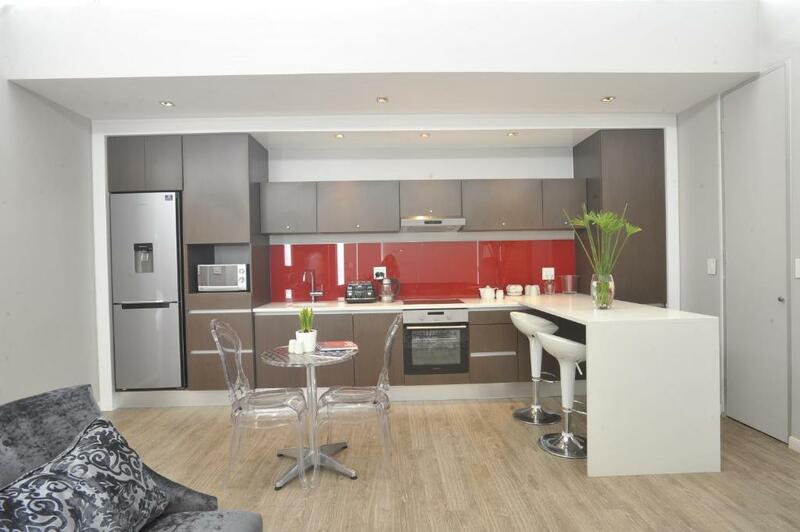 Book your stay at Paragon Crescent and indulge in one of our seven modern self-catering suites. Fully equipped kitchen with Open plan lounge and dining area. Paragon Crescent Suites Featuring Free Wi-Fi and Free Parking, Paragon Crescent offers the quintessential luxury experience. The Crescent Cafe provide a vast range of food varieties and create a cozy and relaxing atmosphere for you. Few minutes to Shops, Dining and HealthCare. House Rules Paragon Crescent Suites takes special requests – add in the next step! Paragon Crescent Suites accepts these cards and reserves the right to temporarily hold an amount prior to arrival. Please inform Paragon Crescent Suites of your expected arrival time in advance. You can use the Special Requests box when booking, or contact the property directly using the contact details in your confirmation. Weekend bfast, safe was not working, room can be rather warm during the afternoon. While the development is novel , a mixed use format with restaurant where coupons were given for a meal. However there were raucous noises coming from the restaurant in the evening it being open to the public. Only limited food since restricted by coupon. I went to great pains to choose something I did not have to pay extra for. but staff asked me for more. Also by the time food arrived coffee was cold. Needed a car to go downtown. The restaurant was closed most of the time. The place is ideal for a quick stay, if one is not in the mood for a hotel setup. Nice modern suit with excellent decor. What is more we got two bedrooms and two baths. A nicely laid apartment which was airy and bright. The privacy was excellent. It's the little things that count most. We arrived on Sunday afternoon and reception was closed. The restaurant on location was also closed. There was no one to show us our rooms or brief us about breakfast timings and they had just asked the security guard to hand us our keys. The phone in the room was not working, and since there were no staff on site, we had to go looking for food around the area. That night, close to 10pm, we received a call from reception out of that blue which we found to be inconsiderate. The reception is very unreliable as they are often not around. Using Paragon’s airport transfer was a complete nightmare. The driver showed up 30mins late, with no fuel, and we were told that 2 other staff of the hotel would be sharing the cab with us, although we paid N$350 for our own cab (2 pax). Because we left the hotel late and had to fuel up, we almost missed our flight. Paragon is highly unprofessional and I would not recommend staying with them. Clean and new. Breakfast was good. only two small things: it would be great to provide a charger point for cell phones, i.e. a two prong (EU) plug point. Please attach the safe to the cupboard, so one can use it. Otherwise somebody can just carry the whole safe away (Room 6).